Vern Scissors was a shock in Salon Int’l. The next stop will be in Cosmoprof Asia. Vern Intelligent Combined Scissors Deluxe Line-Mode 6 caught all professional hairdressers’ eyes when it was launched In Salon Int’l. Everyone oohed and aahed as Vern International Master, Emma gave a demonstration of how it works. The hairdressers said, iPhone is being progressed continually, it’s been 6th generation up to now. So is Vern Intelligent Combined Scissors. Those who have used Vern Scissors for more than ten years from UK, France, Italy, Greece, etc. said hairdressing is getting into smart times because of Vern International Master Team’s research and development. Vern always make continual progress and surprise everyone with every new product. The customers love us more because of Vern Scissors. 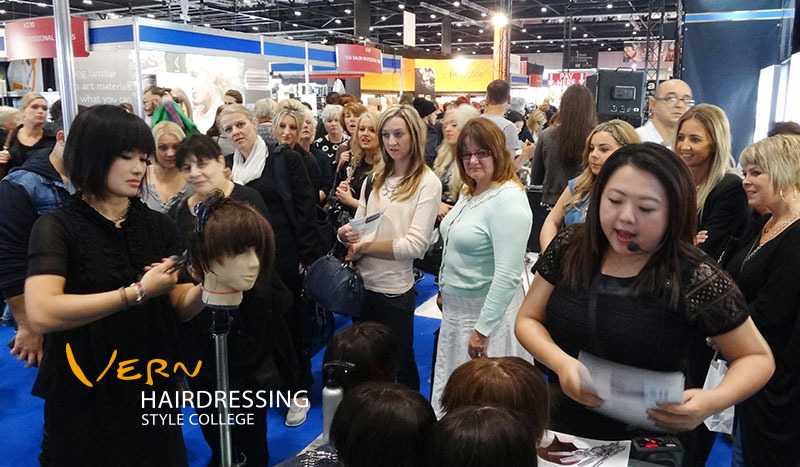 Hairdressers from all over the world always ask for Vern International Master Team to hold shows, seminars and courses in their countries. So do those from Southeast Asian countries on the Internet. 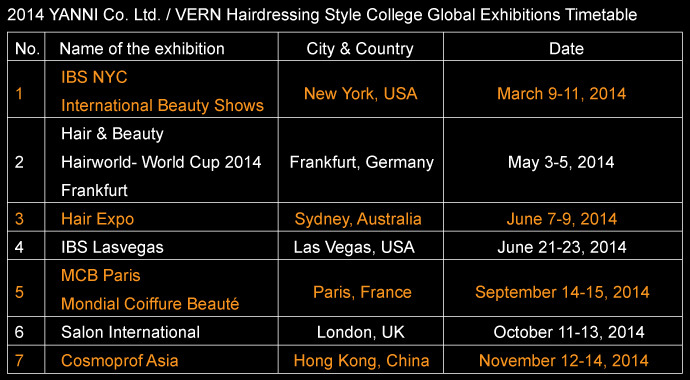 Vern Team will attend Cosmoprof Asia. The Vern fans, see you at Hong Kong Convention and Exhibition Centre. There are five parts in one scissors, while there are six invention patents in one Vern Intelligent Combined Scissors Deluxe Line-Mode 6. New Style Patent – Conform to ergonomics. Blade Invention Patent- Enable two blades to open and close smoothly to keep the quality of hair. Pivotal Device Invention Patent- Durable against loosing easily. Magnetic Combination Device Invention Patent- Be Combined more intuitionally and quickly. Buffer Device Invention Patent- Durable against loosing easily. Adjustable Spacing Device Invention Patent-Satisfy all hairdressers’ needs for cutting effects.